Baby’s and small children are particularly vulnerable to toxins in the environment. After birth, your baby will spend much of its time in his or her nursery and exposed to toxins. 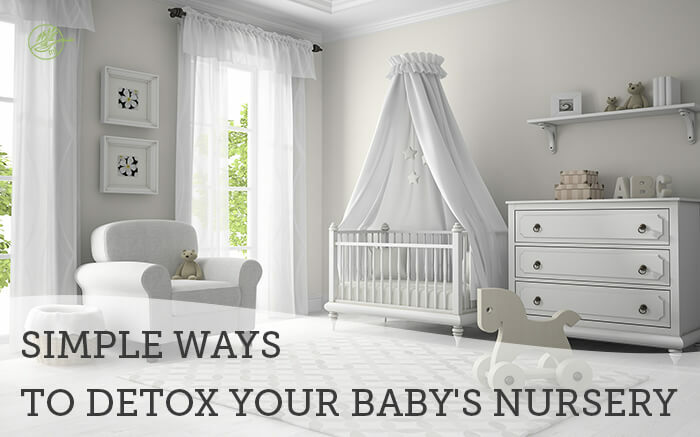 In this post, I will bring you simple tips to detox your baby’s nursery and keep your little one safe. Developing fetuses, baby’s and small children under the age of three are particularly vulnerable to certain environmental toxins. One in six United States children has one or more developmental disabilities, from a subtle learning disability to overt behavioral or emotional disorders (1). Exposures to environmental toxins have been linked with higher rates of mental retardation, intellectual impairment, and behavioral problems, such as conduct disorder and attention deficit hyperactivity disorder. (2) I know this is scary, but it’s exactly the reason I am bringing you simple ways to detox your baby’s nursery. 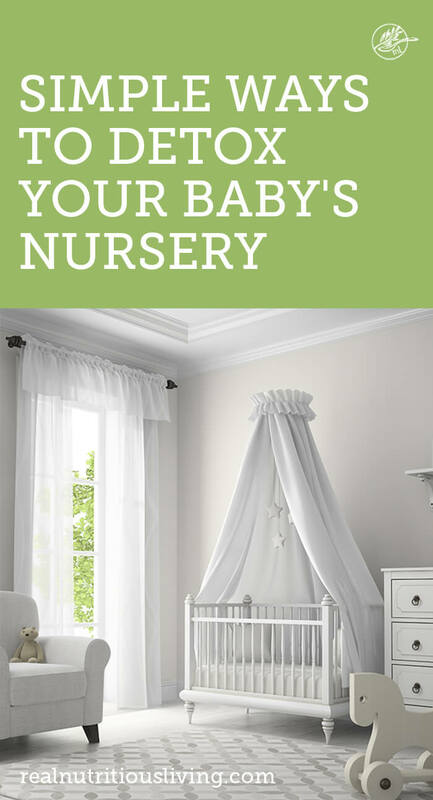 Simple tips to detox your baby’s nursery…Let’s start with the baby’s sleep space. To help keep chemicals and dangerous flame retardants out of your baby’s nursery as well as minimize allergens. Some research shows flame retardants coupled with the heat a baby puts off may be linked to SIDS. There is also research around serotonin in the brain and dysregulation of breathing, so I don’t want to make any implication the flame retardants are the exclusive cause. The research around chemicals, like flame retardants was enough to compel me to take the extra measures to keep my baby safe. The materials used in organic mattresses are also more environmentally friendly. What crib mattress is best? “There’s more than 8,000 chemicals in the textile industry. We’re so concerned with the chemicals we ingest, but people fail to realize with skin being the largest organ system, that it absorbs everything it comes in contact with.” Dr. Saman Soleymani, medical director from Avecina Medical. Due to lack of regulation, even organic clothing isn’t necessarily any safer as clothing can legally be treated with bleach, formaldehyde to prevent shrinking, ammonia, heavy metals (in dyes), phthalates, VOC’s and more. I could go on and on with the data but there are 3 simple ways to ensure safe clothing for baby. Buy GOTS and/or Oeko-Tex certified clothing. Buy used or hand me down clothes. Chances are these clothes have been washed enough times that any chemicals/flame retardants have been removed. And….Rinse in hot water and vinegar. No matter where my sons clothes come from I do a 24 hour soak of about 2-3 cups of non-GMO vinegar and the hottest water possible. I just use the sink or bathtub and usually repeat the process twice and then wash clothes in hot water with my favorite non-toxic laundry soap and an extra rinse. Don’t forget to do the same with blankets, towels and other linens for good measure! Like mentioned above, new, manufactured products release volatile organic compounds (VOCs) and other harmful chemicals into our homes. During the production process, products inhale gaseous chemicals. When these products are unwrapped, they exhale this gas into our homes. This process is simple. Buying used is a great option as well as, air out all new toys and furniture for as long as possible. You can also consider a few plants in baby’s nursery as well as a high quality air purifier. If painting baby’s nursery, consider zero VOC paint. The food we eat and even to some degree the air we breathe have some filtration. The same is not true for our skin, therefore toxins are easily absorbed and go into our organs (more on that here.) This is especially true for our developing baby’s. A good rule of thumb if t touches baby, it MUST be non-toxic and safe. Safe makeup and lip products for mom, since we kiss baby, and baby will be rubbing against our face. Anything with fragrance, including perfumes, colognes, candles, body , dryer sheets, lotions, air fresheners, etc. 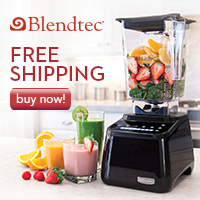 All of these tips will not only keep baby, but you and your entire family healthier! 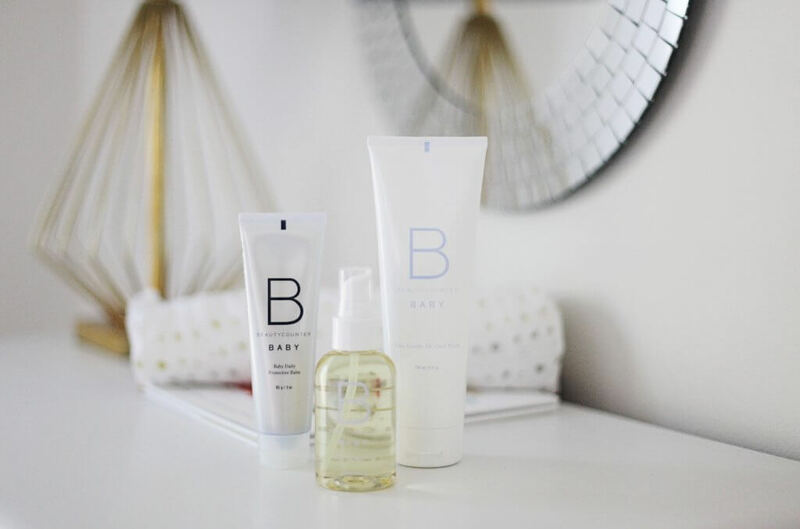 I hope this post on how to detox your baby’s nursery helps you feel more at ease and keep your baby healthy! Yes! So important to think about what we are putting on those tiny little babes. Thanks for sharing. I love BC. Completely agree Katja! And yay! Such an important article! Definitely a necessary read for all the mamas and mama-to-be’s out there. Thanks Jean! And you’re so right! Great tips & products, will have to share with my mum and dad friends. Thanks for sharing! I appreciate the feedback and sharing Irena! The best thing we can do for their overall health is reduce as many exposures to toxic chemicals as we can!! Too much junk out there!! Great tips. What a great read. I’ll share it with my neighbor who just had her first baby girl ! Thank you so much ChihYu! Thank you so much Georgie! Oh my goodness these are all so important! 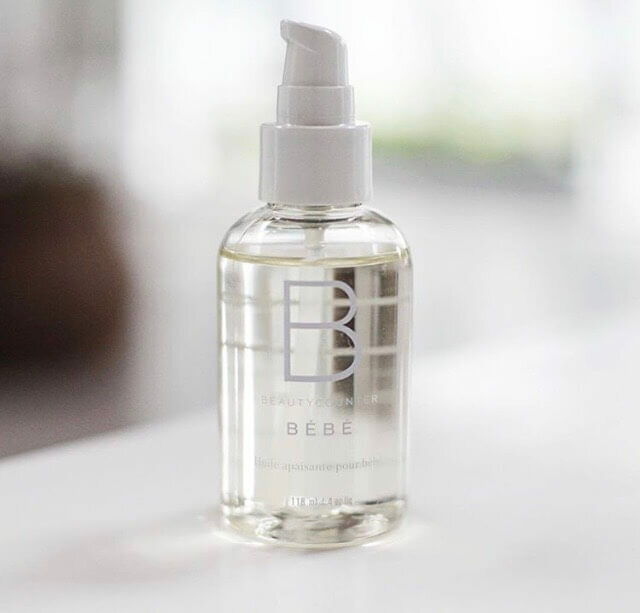 Organic mattresses and clothing are truly one of the best things you can do for your infant – start them off without those toxic off-gassing products and furniture, so important too. Love all of these tips! Thanks for spreading the word about all of them. Thank you so much Emily! Yes, it is so important and simple! SO important to do what we can to reduce the toxic load on our littles!! What a great article, no one ever thought about any of this when I was growing up, so it’s so nice to see awareness spread and really awesome products coming out that are natural! Absolutely! So little was out there even when I was pregnant. I love simple, yet powerful changes that build on themselves! Great article and useful tips. As a new grandma, I will pass this on to my daughter. Thank you Stacey! I appreciate it! This is a fantastic article and gives plenty of options for parents too. Thanks so much for the detail, a wonderful resource! Your kind words mean so much! Thanks Darryl!